You can also access your account via the MIT mobile app. Can I request items that MIT doesn't have? Use MIT's WorldCat to request items from Borrow Direct. Borrow Direct items are loaned for 60 days with 1 renewal. Borrow Direct items are subject to recall at the lending library's discretion. You may also request materials through Interlibrary Borrowing. Please see our Interlibrary Borrowing page for more information. See Get books, articles & more for details. See the Library Storage Annex page for information. How do I get items on reserve for my course? See the Course Reserves FAQ. Can a book be retrieved from the shelf and held for me? Yes. Your Account allows members of the MIT and Harvard borrowing communities to request MIT Libraries' 60 day loan materials (i.e. books and accompanying materials) for pick up at any MIT Libraries' location. The book will be available for pick up within one working day except during library closures. You are allowed a maximum of 15 requests or on hold items at one time. Once you reach the limit, you will be blocked from further requests until you borrow some or all of the previously requested items. Only 6 items per day will be processed and delivered from the Library Storage Annex and Off Campus Collection. Can a book be delivered from one MIT library to another? Yes, 60 day loan items (i.e. books and accompanying materials) may be requested using Your Account for delivery to a nearby library within two working days. Yes, please email circulation@mit.edu for assistance. Can a book be delivered to my office? Faculty and academic/research staff, which includes many lecturers, program heads, and postdocs, can request delivery of 60 day loan, renewable materials (i.e. books and accompanying materials) to their campus office using Your Account. Choose “Office Delivery” as your pickup location when placing your request. We deliver to the campus address listed in the MIT Directory. Please note, Borrow Direct/Interlibrary Borrowing items are not eligible for office delivery. The book will be delivered to your department mailroom, as listed in your library account within 3 business days; delivery time may take 5 days if an item is requested after a long weekend. If you do not receive the item within a few days, please contact us at circulation@mit.edu for assistance. If you need to update your office address you can do so by updating your Atlas information (http://hrweb.mit.edu/view-change). Changes in Atlas changes take 24 hours to load into our system. Do I have access to any non-MIT libraries? Harvard College Libraries (HCL) - access to select libraries only. Can someone else check out materials for me? With two exceptions, only you can use your library card to check out library materials. Exceptions to the rule are professors and students/staff with long term disability or illness. If you are a professor, you may give permission to someone else to check out materials on your behalf. Use our Designated Borrower form to request permission. Please note, a designated borrower account does not allow the designee to access Your Account or ILLiad. If you are a student and have a long term disability that requires this service, please contact Student Support Services. Staff should contact MIT Human Resources. Both departments will assist you in obtaining this privilege from the Libraries. Can I purchase copies of MIT publications or theses? Yes, see our Document Services page for more information. How can I find or purchase non-MIT theses? See our non-MIT thesis information page. How can I get something that's listed as "in library" in Barton, but that I can't find on the library shelf? Request the item through Your Account or contact a library service desk. Library staff will search for the item for you. How can I get something that is "on search" or "missing?" If the Libraries do not own another copy of the item, you may request it through MIT's WorldCat. See our MIT's WorldCat FAQ for more information about the service, as well as other WorldCat Local features. As an alternative, you may request the through Interlibrary Borrowing. Turn around time for item's requested through ILB is slightly longer than the WorldCat service (5 days vs. 3). How can I get something that is "on order" or "received/ask for assistance?" Please contact a library service desk. How can I get an item that someone else has checked out? The speediest option is to request the item through MIT's WorldCat. See our MIT's WorldCat FAQ for more information about the service, as well as other WorldCat Local features. Also, you may recall items online through Your Account or through any library service desk. The item will be available within 1-2 weeks. Login to Your Account and click on the "view requests" to check the request status, including the recall due date. If you do not need the item immediately, you may request it without shortening the current due date by contacting any library service desk. All 60-day loan items are subject to immediate recall if needed for course reserves. How do I find items in the library stacks? The MIT Libraries uses the Library of Congress call number system for shelving books and other materials. See our call number guide for more information. How long can I borrow MIT Libraries materials? All books are subject to recall, which will shorten loan periods. It is advisable to return library materials before leaving campus for 1 week or more. Borrow Direct materials are loaned for 60 days with 1 renewals. ILB materials due dates vary, and are based on the lending institution's policies. If your patron status is Harvard or Privilege Card, refer to the patron status table in the following question. Are there different borrowing privileges according to patron status? Do retired MIT faculty and staff have library privileges? Yes. You need to obtain a retiree ID from the MIT Card Office in the basement of W20. Your Libraries' account will be automatically updated overnight after the card office processes your ID. Retirees may borrow physical materials from the Libraries. 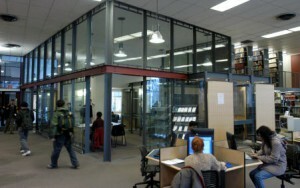 Access to electronic resources is only available on site, using the public access computers available in the Libraries. Retirees are not eligible for reciprocal borrowing privileges, interlibrary borrowing or MIT's WorldCat borrowing. Can my spouse/partner or dependents borrow library materials? Yes. MIT Spouse/Partners and their children are eligible for library borrowing privileges. They must first obtain a Spouse/Partner ID from the MIT card office, and then should visit any MIT Libraries service desk to register for an account. Children do not require an ID, but they must be accompanied by a parent with an MIT ID when registering for a library account. No card or ID is needed to read in the library. Please see the Library Services for MIT Alumni/ae page. What services are available for non-MIT patrons? Please see the Library Services for Visitors page.